This statistic presents the share of of social media users in the United States who have have modified their views about a political or social issue because of something they saw on social media. 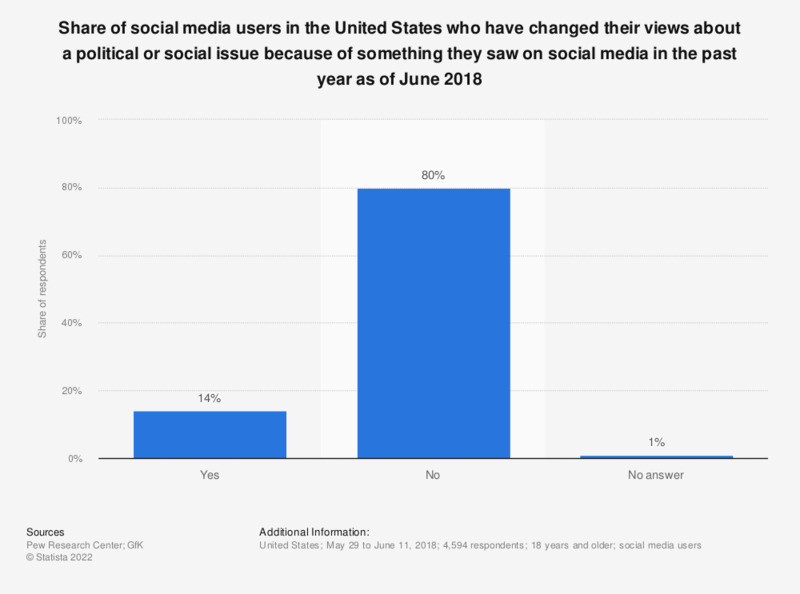 During the June 2018 survey period, 14 percent of respondents stated that they had changed their view on a political or social issue due to something they had seen on social networks in the past year. Question: In the past year, have you ever modified your views about a political or social issue because of something you saw on social media?